Who’s watching the Super Bowl this Sunday? While I can take or leave the football-watching, I do love Super Bowl Sunday — for the commercials, the halftime performances, and most importantly, the awesome snacks. As many of my friends and family can tell you, my particular snack weakness = Lit’l Smokies. I don’t know what it is about them, but I am powerless when faced with a tray of them at a party. I adore them slow-cooked in a sweet-and-sour sauce, or bacon-wrapped and baked, or engulfed in buttery puff-pastry — the possibilities are endless and delicious. So, for today’s recipe, I’m sharing a new-to-me Lit’l Smokies treat – here, they are wrapped in a homemade pretzel dough, boiled in a baking soda/water mixture, sprinkled with an egg wash + salt, baked until beautifully golden brown, and served warm with mustard. And y’all, they are MAGNIFICENT. Because I know myself well, I made these around lunchtime, knowing that rather than eat a few as a snack, I’d prefer to eat a ton as my lunch. =) The homemade pretzel dough is amazing — perfectly savory, beautifully textured, and just the right amount of salty — and it complements my beloved Lit’l Smokies wonderfully, especially when served with some tart mustard. I loved them, my husband loved them, + our toddler loved them (and neither of them are hot dog-lovers), so I’m deeming these a huge success. If you’re looking for a crowd-pleasing snack for Super Bowl Sunday, look no further! In the bowl of a stand mixer, combine the yeast, light brown sugar and warm water, stir gently, and let it sit for 10 minutes, until the yeast is foamy. Then, pour in the melted butter. In a separate medium bowl, whisk together the 4.5 cups flour with the 2 teaspoons kosher salt. Add the flour mixture to the yeast mixture, and with the dough hook attachment, turn the mixer on to medium speed. Mix for 5-6 minutes, until the dough is formed into a smooth elastic ball. If the dough seems sticky, add a tablespoon of flour at a time until the dough comes together. 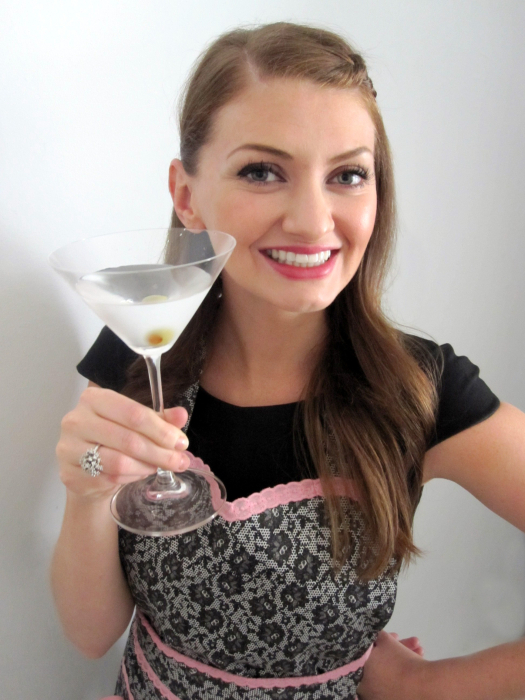 (Amy’s note: I did not need to add any extra flour – the 4.5 cups worked perfectly for me). Once the dough has risen, turn it out onto a lightly-floured surface and divide into 4 equal pieces. Roll each piece into a long rope, about 1″ thick around, and cut the rope into 2″ pieces. Roll out each piece with a rolling pin. Place 1 Lit’l Smokie in the middle. Roll the dough around it and pinch the ends shut. Continue until all the Lit’l Smokies are wrapped in dough. Pre-heat the oven to 425 degrees F. Prepare a baking sheet by lining it with parchment paper or a Silpat liner, and set aside. Prepare another baking sheet (or two large plates) by lining with paper towels, and set aside. Finally, in a small bowl, beat the egg with 1 tablespoon of cold water, for the egg wash, and set aside. While the oven preheats, bring a large pot of water to a boil (Amy’s note: the water will fizzle up a LOT when you add the baking soda, so do NOT fill the pot entirely to the top). Add 1/2 cup of baking soda to the water (prepare yourself – it will fizzle up!) and lower to a simmer. Carefully drop the wrapped Lit’l Smokies wraps into the simmering water in batches. Once they rise to the surface on their own (this is quick, takes about 1 minute), remove them using a slotted spoon and place them on the paper towel-lined plate/baking sheet to drain. Do this in batches until all pretzel bites are boiled and drying out on the paper towel-lined plate/baking sheet. Place the pretzel bites on the silpat/parcment-lined baking sheet. Brush the tops of each pretzel with egg wash and sprinkle with kosher salt. Bake for 425 degrees F for 11-13 minutes, until beautifully golden brown. Serve warm, accompanied by the mustard of your choosing for dipping. i am so glad to hear that you like lil smokies too! outside of my immediate family, i don’t know anyone else who will admit to liking them. what a fun treat! 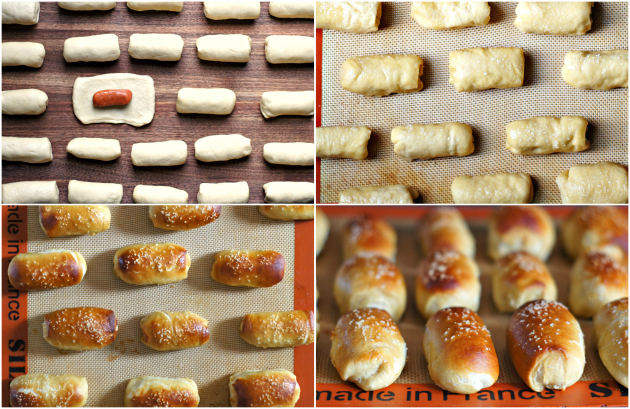 The only thing better than homemade soft pretzels…. 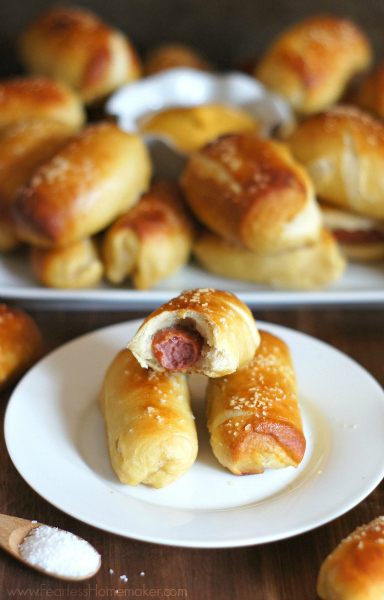 homemade soft pretzels with mini wieners stuffed inside!! Seriously, I want to eat that whole plate!! Maybe I will get motivated and make some for super bowl! Yup, my hubby would be all over these. We usually eat them wrapped in bacon, so maybe I’d have to do that first and then “dog” them Great photos, as always!! 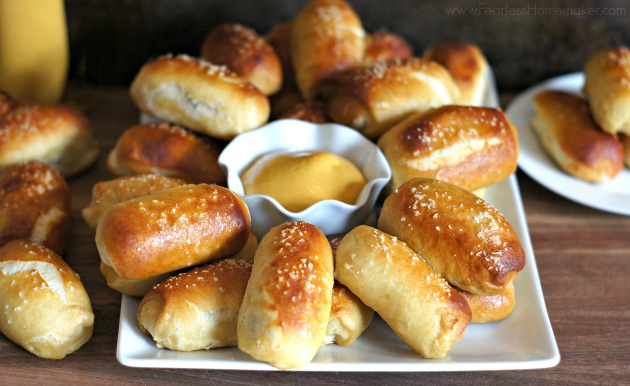 Those are so cute, and the pretzel dough sounds amazing!! Win! I think my husband could eat them all in one sitting. He loves pretzels and he is crazy about lil smokies. Oliver is alllllllll about lil’ smokies (soggies) These look yummy AND pretty! Cute, tasty, and easy to make! I can’t ask more from a recipe! Very suitable to be equipped with coffee in the morning. Could u wrap in foil & reheat in crock pot next day?